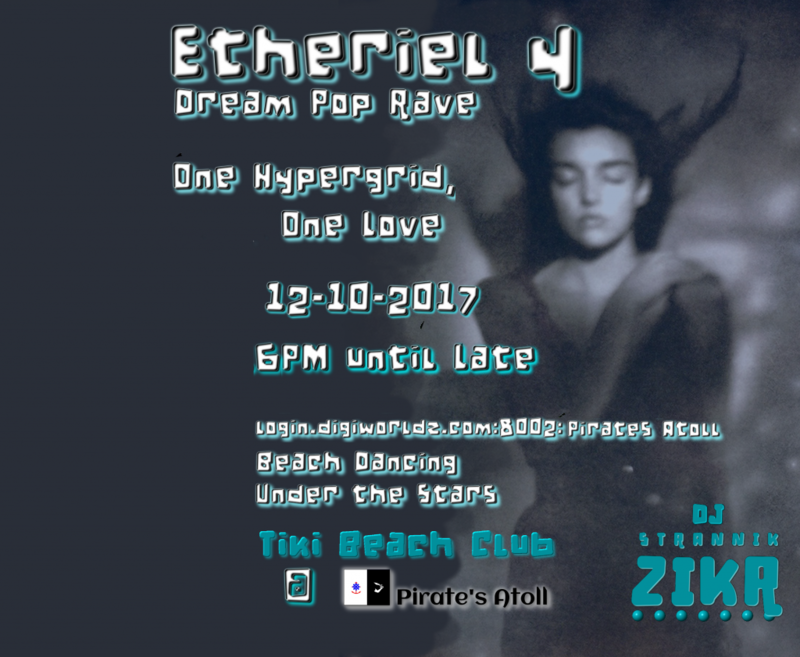 Home » Atoll News » Etheriel 4 – Dream Pop Rave – OSCC After Party @Pirate’s Atoll! This is the 4th incarnation of the dream pop rave on Pirate’s Atoll for an OSCC afterparty! All of that community love and energy that builds up during the conference has to go somewhere, so come and celebrate it by dancing your av off! Feel free to come on by even if you didn’t make the conference. The conference official start time is 6:30 PM, but I’ll start a bit earlier than that. When will it end? Only when the last av stops dancing!